We all need the advice of an expert sometimes, as well as the personal attention that comes with a trainer or coach. We offer personal training and coaching to help you set and meet your specific goals in order to live healthier. 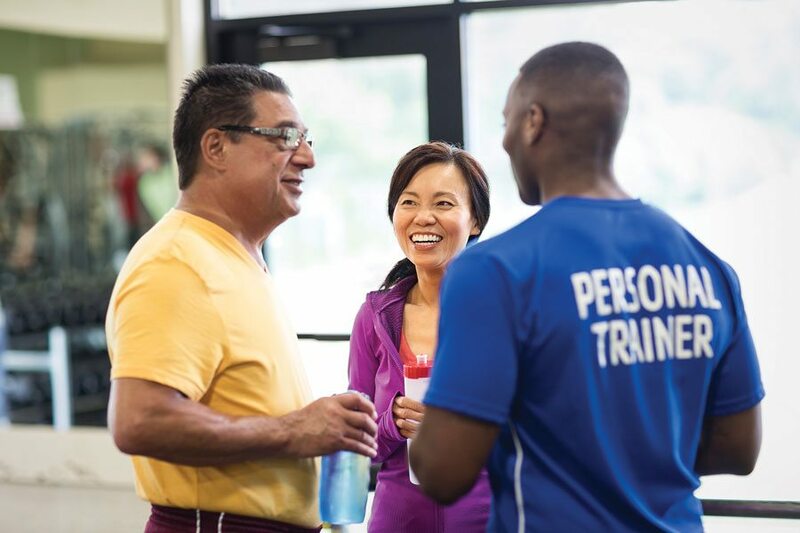 At the Y, our nationally-certified Personal Trainers can assist you in reaching your fitness and weight loss goals through one-on-one or group settings. OR stop by any Welcome Center to purchase sessions. **Please contact Y Branch after you have made a purchase. **Fees are non-refundable and must be used within one year of purchase date. Sessions may be used in 30 or 60 minute increments. Every YMCA Personal Trainer has acquired and maintains certification through national health and fitness organizations.